So Lonely in Gorgeous: An Execrable Mango...Tasty Related, Not Beauty Related! An Execrable Mango...Tasty Related, Not Beauty Related! 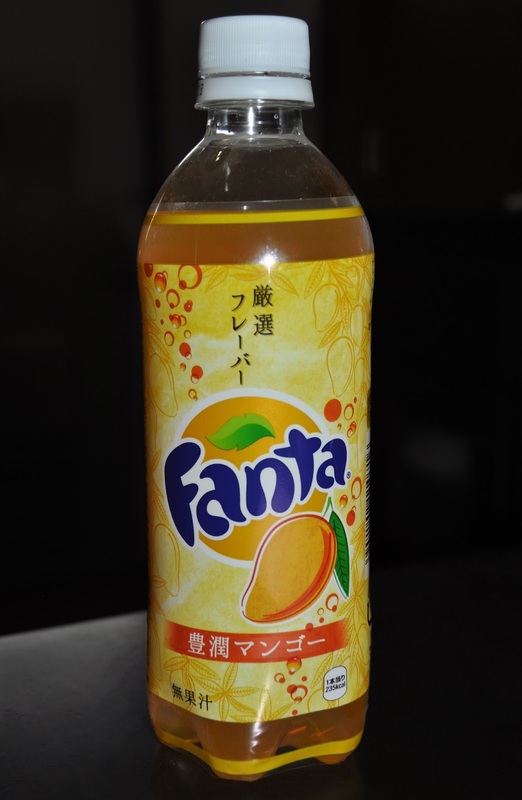 Mango Fanta is a noxious creation; seriously, I almost gagged at first sip. Admittedly, I don't like mangoes. However, during the Summer of 2012, Starbucks had this delicious Mango Passion Tea Frappuccino with Mango Pudding that was absolutely scrumptious (I wonder if I have a picture of it? ); thus, flavor preferences aside, I can still be objective. Mango Fanta has this offensive artificial mango scent and flavor; it tastes just like those "kiddie" flavored liquid medicines (that actually tastes like sweetened poison), my mom would give me as a child. Taste test verdict: pored it directly down the drain. Have you tried Fanta's mango flavor? I have tried it and didn't liked it.